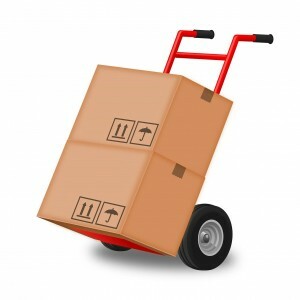 Relocation is a complicated maneuver in coordination. We get local Greenville home sellers calling us or submitting their house info on this website every week saying “I’m relocating and need to sell my house in Greenville“. The great thing is that we’re able to help a good many of those sellers sell their house quickly (because we’re actively buying houses in Greenville SC right now!). There’s an immense amount of details to keep organized, plus the anxiety of whatever is making you move in the first place – often it’s a new job or a sick relative, but the true need to move always comes with a dramatic change. Calculate the value of selling your house fast vs. “waiting it out” for a dream price: We all want to sell our houses for as much as possible. But one thing many people forget to do is come up with the $ amount of how much it costs you to hold onto this house. The costs involved include the mortgage (which if you’re still within the first 10 years of the mortgage, the majority of your payment interest and not hardly going to principal at all), insurance, taxes, maintenance, etc. Let’s say you want to sell your house for $200,000… and your mortgage payment is $1,200/mo, taxes $200/mo, $100/mo for insurance, and $100/mo for maintenance (lawn maintenance, repairs while you’re gone, etc. ).Those expenses add up to $1,600/mo in “non-equity building” expenses. If it takes you 7 months to sell that house through a real estate agent for that $200,000… it cost you $11,200 in DIRECT “holding costs” + you had to pay $12,000 in real estate agent fees (assuming 3% for the buyer’s agent and 3% for the sellers agent). Totaling $23,200 in LOST money. That doesn’t even account for the value of your time, your stress in thinking about that property sitting on the market, the opportunity cost of what you could have been doing with that extra money during those 7 months, etc. So the real cost to you was likely closer to $30,000.But, what if you were to sell your house next week and avoid all of that? Even if you sold for a discount below the retail price (let’s say… $175,000)… you’re still ahead of the game by selling the house NOW at a discount to a home buyer like our company vs. 7 months later at full price (and paying holding costs and real estate agent fees). Make sense? Most properties are pretty average, in reality. They tend to be like the other houses around them, in the same way, that people who live near each other tend to have a lot in common too. So unless your property is truly exceptional, as in magazine-quality extra-special, you won’t capture the most money in the market by pricing at the highest point. 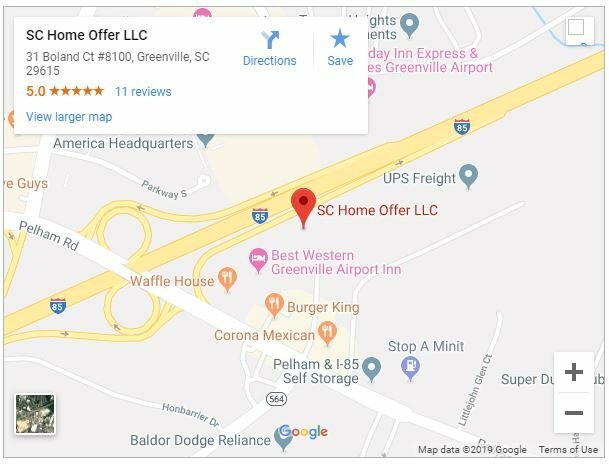 Who Is SC Home Offer LLC And How Can We Help You If You’re Relocating And Need To Sell In Greenville? We’re investors. We support our families and beautify neighborhoods by buying houses from Greenville homeowners who need to sell fast for one reason or another. But we’re passionate people, and we believe in the Greenville community. We live and work right here in Greenville, South Carolina. We’re happy to help you find answers to your toughest questions about your Greenville real estate, so please feel free to call us at (864) 506-8100 and chat with us anytime.